Could this be the new Truman’s Brewery? Today I open the next chapter in the story of Norton Folgate by introducing the Spitalfields Trust‘s scheme for renewal of this overlooked ancient quarter of London townscape, developed in collaboration with architect John Burrell of Burrell Foley Fisher. The principle behind this scheme has been to find how Norton Folgate can best serve the people of the East End in terms of employment and housing. 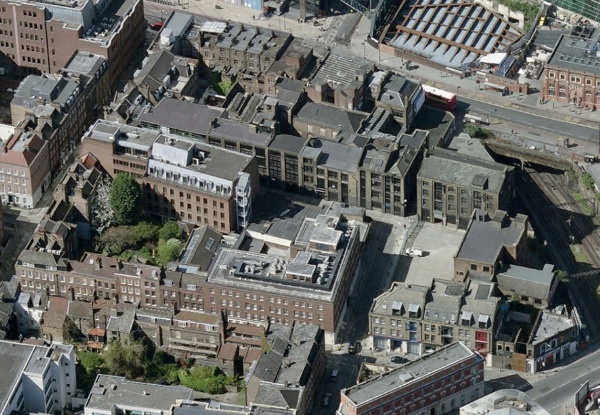 Unlike British Land’s proposal which would entail demolition of more than 70% of the fabric of the site within a Conservation Area, the Spitalfields Trust’s scheme retains more than 95% of the buildings. These would be subject only to light-touch refurbishment with sympathetic new infill matching the scale and materials of the historic structures. The viability of this scheme is based upon the availability of more than forty separate buildings providing genuinely sustainable and affordable premises, offering possibilities for a significant volume of residential accommodation as well as suiting the requirements of traditional and new industries. Consultations with local businesses have drawn serious interest from tech industry leaders Second Home and Red Monk, and long-established East End companies, Baddeley Brothers, specialist printers operating at the City fringe since 1859, and Truman’s Beer, first established in Spitalfields in 1666. For Truman’s, the site has the potential to offer a permanent home for their brewery with a tap room bar and a museum of the company’s history, just a couple of hundred yards from where they started in Brick Lane three hundred and fifty years ago. Meanwhile, Keith Evans of Baker St Productions who created the Clerkenwell Workshops has offered to deliver a recording studio and ten live/work units. Working in partnership with Newlon social housing association, the Spitalfields Trust’s scheme provides fifty-seven affordable residential units, as opposed to only eleven in British Land’s proposal. For the open market, there would be a further fifty-seven residential units as well as the ten live/work units. 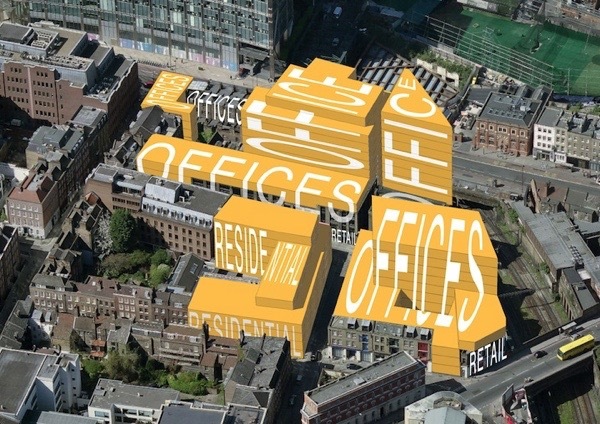 The Spitalfields Trust’s scheme is viable and deliverable. It has been submitted to Tower Hamlets Council as a pre-planning application and a copy was sent to the Mayor of London yesterday. 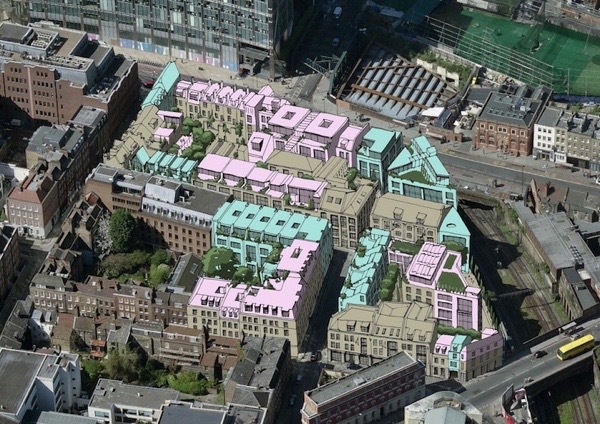 As you know, Tower Hamlets Strategic Development Committee unanimously rejected British Land’s scheme for Norton Folgate in July and this decision was ratified by the Council in August. This week, the Council’s decision will be passed to the Mayor of London and we need your help urgently to ensure that he does not interfere in the democratic process by intervening on behalf of the developers, as he did with the London Fruit & Wool Exchange which is currently being demolished. Please write to Boris Johnson and ask him to show respect to the people of the East End by upholding the decision of the elected councillors in Tower Hamlets. This is a simple guide to how to write to Boris Johnson, Mayor of London, asking him to show respect to the people of the East End by upholding the decision of Tower Hamlets Council and not intervening on behalf of British Land. Please quote application numbers PA/14/03548 & PA/14/03618 and write in your own words giving your own reasons why you think Boris Johnson should not interfere with Norton Folgate, but you might like to consider including the following points. 1. The decision to reject British Land’s application was made democratically by Tower Hamlets Strategic Development Committee with 4 votes against, 4 abstentions and o votes in favour. This is what the people of East London want. 2. There were more than 550 letters of objection but only 7 in favour. 3. The site is entirely within the Elder St Conservation Area which is protected by the Council’s own Conservation Policy, recommending repair of the buildings – not wholesale demolition as proposed by British Land. 4. The Spitalfields Trust has produced a viable alternative scheme which addresses local housing and employment needs, and preserves the heritage assets for future generations. 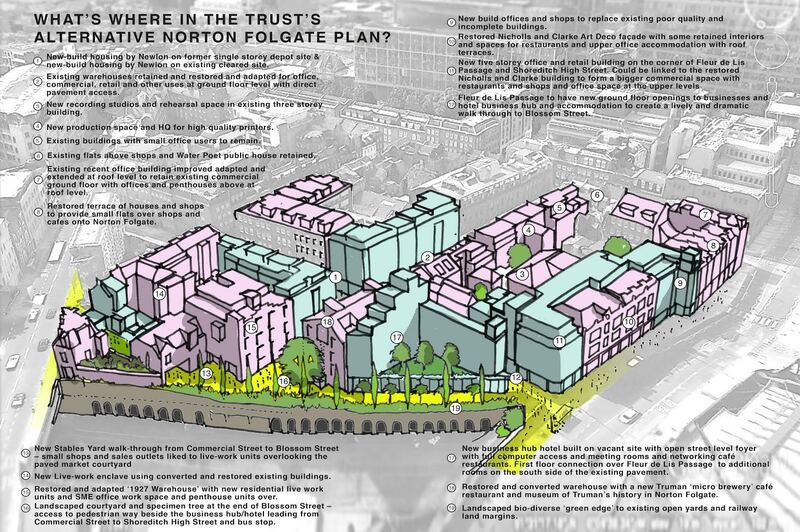 This alternative proposal is conceived to fit within the Council’s policies for the Elder St Conservation Area and proposes a scale that reflects its history, and the modest form and scale of the existing four and five storey buildings of Norton Folgate. It retains 92% of the fabric of the buildings of the designated Conservation Area as an alternative to British Land retaining only 29%. It demolishes just three buildings and this is confined to those that are unquestionably of poor quality or incomplete. It has five modest-scale new buildings. It has thirteen one-or-two storey additions to existing buildings and these are set back at roof level to maintain the scale, height and form of the existing streets. It is based on maintaining the integrity and identity of over forty buildings, most of which were once under separate ownership and control, which formerly accommodated many different uses that made up the character of Norton Folgate. It maintains party wall lines. It maintains an active on-street presence and activity from over seventy separate front doors and entrances at pavement level. It repairs, restores, and conserves existing facades, their fittings and details. It retains the existing patina of the buildings without over-restoration and without the removal or re-location of original detail and materials. It keeps in place the original street surfaces, street furniture, kerbstones, small details, signs, lamps, bollards etc – some of which have Listed Building status. It opens up existing historic yards and routes through the site e.g. from Commercial St to Blossom St, through the former stable yard. It establishes the workplaces, homes and the market character of these streets, retaining their essential nineteenth century character, reflecting Norton Folgate as an area that already has historic architectural coherence. It is not reliant on Norton Folgate having to be organised as a single development site, necessitating the complete vacation – this alternative scheme can be commenced immediately on a building-by-building basis. It is does not use architectural pastiche to disguise new buildings. It does not include merely the retention of façades as a ‘masonry veneer’ fronting-up new floor plates and continuous floor plates behind. 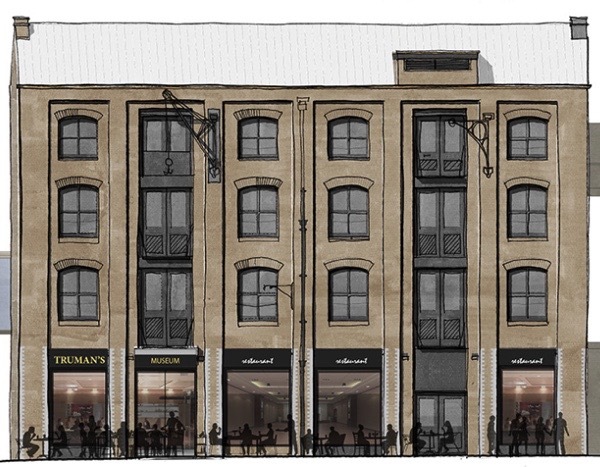 It is not a scheme that creates retro facades as a mask to huge blocks untypical of the grain and scale of Spitalfields. It does not require the creation of private pedestrian routes under new buildings to replace already existing historic routes through the site. It will not require a comprehensive level-by-level demolition plan for the entire site. It does not require a surfeit of reports to justify the destruction and removal of evidence of the history of the site. The Spitalfields Trust’s scheme recognizes that Norton Folgate is a vital part of Spitalfields, the loss of which will destroy the character of the Conservation Area. Although buildings have been emptied in order to realise the developer’s objectives, we have found from our consultations with those wishing to return to the area that there is a massive desire and demand to occupy the buildings – to live, to work and to create new places, and return Norton Folgate to a thriving, vital locality. 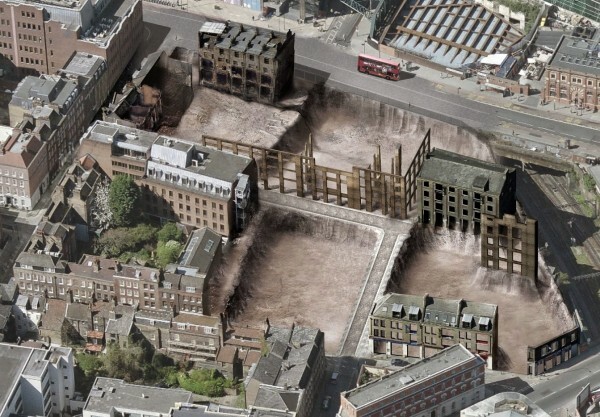 Norton Folgate exists already and has no need of a demolition master plan. Exemplary work by our Gentle Author. Sincere thanks. Oh PLEASE let common sense prevail and allow this precious part of the East End heritage to retain its true character. Great ideas from the Spitalfields Trust, let’s do our best to make sure it happens! Thanks for the info. Nice stuff, but tragic that so few voices were raised to stop what is now happening on the other side of Spitalfields Market, where the former London Fruit and Wool Exchange is now being smashed to pieces so it can be replaced by a massive office block. Letter to Boris just sent. Have just done my email to him. Let’s hope we can make a difference. Subtle marketing ploy to name these areas around the City, the “City Fringe”. Then it’s ok to just engulf these areas and gobble them up into the City. Well, no it’s not ok and it needs to be fought. So many policy points and principles to politely remind Boris of! — more readable and relevant than you might think, so why not have a look/go! e) is informed by the surrounding historic environment. C Development should identify, value, conserve, restore, re-use and incorporate heritage assets, where appropriate. D Development affecting heritage assets and their settings should conserve their significance, by being sympathetic to their form, scale, materials and architectural detail. B The significance of heritage assets should be assessed when development is proposed and schemes designed so that the heritage significance is recognised both in their own right and as catalysts for regeneration. Wherever possible heritage assets (including buildings at risk) should be repaired, restored and put to a suitable and viable use that is consistent with their conservation and the establishment and maintenance of sustainable communities and economic vitality. I’ve just emailed the Mayor of London. The Spitalfields Trust scheme is brilliant! Thank you for the update; am about to post my letter to Boris. My letter in the post – thanks for the notification. Our business, N.Bloom & Son, was founded by maternal grandfather, Nathan Bloom, at 15 Norton Folgate. It was a typical 3-story plus basement small Georgian house, by 1953 when I joined the firm in a very poor state of repair. I think it is one of the group of four on the left, near the corner with Elder Street-amazing it is still standing! Even in my day, with Nicholls and Clarke, builders’ merchants, occupying a large part of the site, there was talk of redevelopment. We sold it in or around 1975 for £13,000, which even then did n’t seem a lot, but the most we could get. It was never re-occupied, and our name remained on the facia for at least another twenty-five years, as a friend of ours, having passed by, said he did n’t know we had a branch in the city! given yesterday’s bad news re the current mayor, is there a petition that we could sign to raise the profile of what’s happening vs what clearly should be happening?